Traffic on CR 75 will be reduced to one lane in each direction starting Monday, April 8. 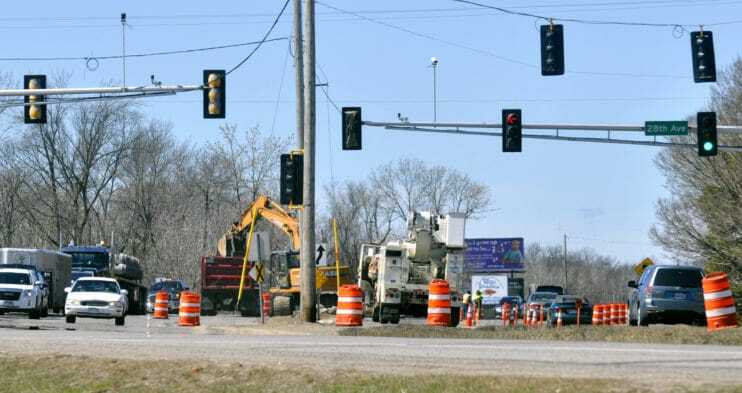 There will be one westbound lane from 15th Avenue in Waite Park to the Interstate Highway 94 traffic ramp west of St. Joseph. Eastbound traffic will be reduced to one lane from CR 134 to 28th Avenue in Waite Park, according to the Stearns County Highway Department. Drivers should find alternate routes, expect delays and use caution while going through the work zones.